There are too many users using the system at this time. Too many inactive and idle users can cause slowness to Sitecore client and you may also observe performance issues while doing content authoring. 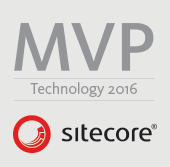 Most of the time users have a habit to exit Sitecore application by simple closing the browser window. Thus Sitecore client never gets a log off command from user manually and user session does not get killed immediately. 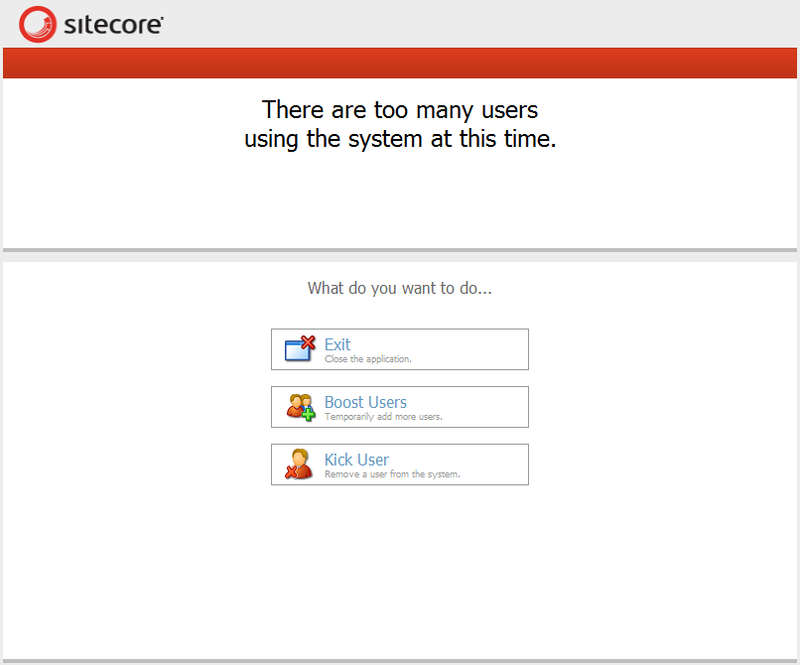 Since Sitecore server never received a log off command, it waits until the user session time out occurs. Standard session timeout is 20 minutes. When managing Client sessions, Sitecore keeps track of every user logged in to the system and assigns a Sitecore user session id to every user accessing a Sitecore Client application. Sitecore Client user session is not limited in time and is kept alive until the browser is opened. Login on Sitecore client. Please make sure that either you have login using admin credentials or you have admin privileges. You will get list of current user sessions (active and inactive) with login time and last request time. Select user who is inactive or idle and click on KICK button. Monitoring active and inactive user session queue can be a tedious task. 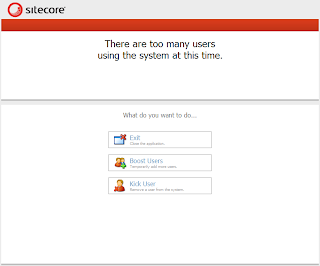 We can kick Sitecore users if they are inactive or idle for a specified period of time. Using DomainAccessGuard class, we can kick users from Sitecore Programmatically. DomainAccessGuard class allows getting details of all current user sessions. DomainAccessGuard class exists in Sitecore.Web.Authentication namespace. Source code and dll can be downloaded from GitHub. Copy Sitecore.KickUserSessionAgent.dll in /bin folder of Sitecore website. You can configure the maximum inactivity time before a user will be kicked. Please set the appropriate value for the maximumIdleTime parameter.